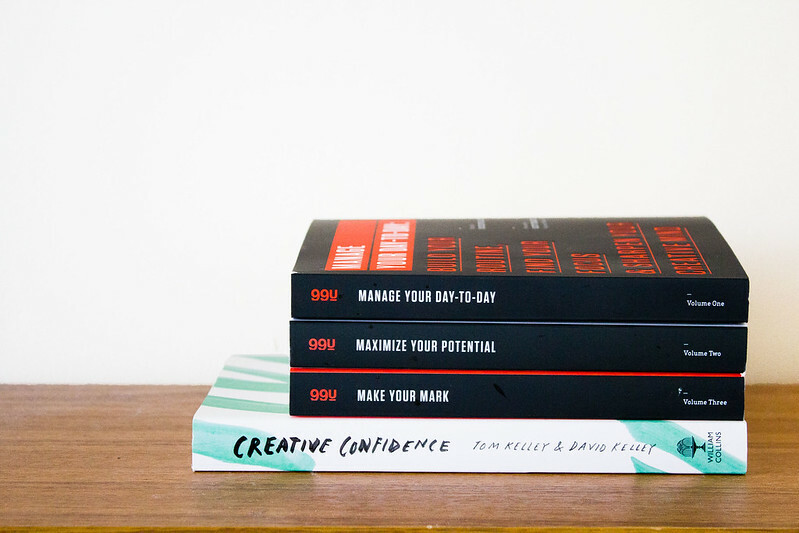 I have previously written two lists of "books for creatives" featuring 33 books in total. To be honest, you don't need to read them all; if you're finding it hard to choose, here is my definitive list of absolute "must read" books for creatives. Haha, I loved your honesty. And I super agree, Steal like an Artist is a MUST. I'm reading creative confidence right now and I really enjoy it. It is more focused towards people who do not consider themselves creative, atleast so far. But all the tips are also transferable and the examples are so inspiring. Definitely a good read. But I did ot hear about "The Creative Habit" before. Thanks for the introduction. Thanks for the suggestions! I hardly have any time to read, but I would really like to make more of an effort to read some resources that might help me be more productive and more effective at chasing my dreams. I think I need the creative confidence one. Actually, scrap that, I know I need to build my confidence. I absolutely loved Steal Like an Artist. I'm actually hoping at some point to read his other book, Check Your Work.I must say that Ignore Everybody sounds like an interesting read that I'm going to have to put on my list soon. Thank you for this post! I was in need of some books of this genre! NUmber 4 is very tempting. I've designed free to download daily checklist for better time management. I can't wait to read these. Right now I am reading The 6 Pillars of Self-Esteem. Great book! Putting these on my summer reading list, thanks for the ideas! Great idea, although I don't really read anything on improving writing skills. Stephen King's "On Writing" is great. Apart from that I don't think I have ever read much on writing, sorry! I haven't heard of that - I hope you're enjoying it. Fantastic - let me know what you think of them! If there was just one book I would recommend it is Steal Like An Artist, it's an absolute must read. I think it's important, if you enjoy reading, to make time for it. We all have time we could "rescue" from other, less important, tasks. Yes, that's what I found. It wasn't super useful to me but I think, for someone looking to learn more about creativity, it's a great book. Yes, definitely - I love that book! Thanks, Sophie! Already have Manage Your Day-to-Day and definitely going to check out the others.